If you’ve tried marbling and newspaper nails and want to find another way to give yourself some serious jazz hands, then this is the nail art how-to for you. Go big or go home! – Stick 2 reinforcers together and position on each of your nails near the base. – Once dry, apply a clear top coat to protect all your hard work. HOT TIPS: Make sure the base coat is fully dry before moving onto the next stage and, when all layers are done, press down on your nail to even out the edges between the colours. Be warned – your nails will take ages to dry. 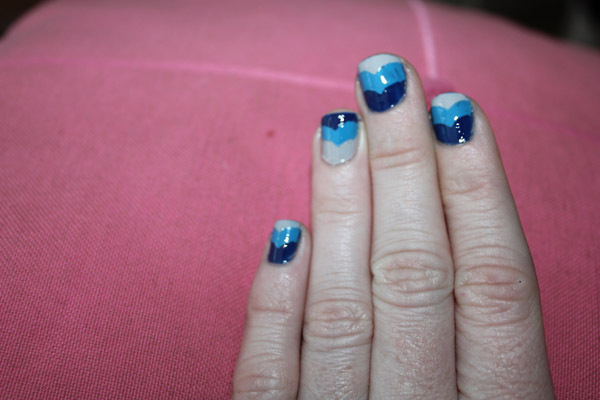 Here are a couple of other nail art tutorials to keep you going. 1. 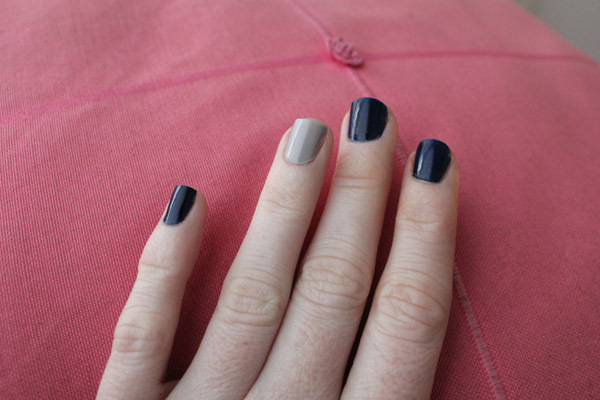 Be front-page news with this journalism-style nail art how-to. 2. Get your marble on with this helpful video.